The following shows the two industries with the least number of incorporations between January and May 2014. 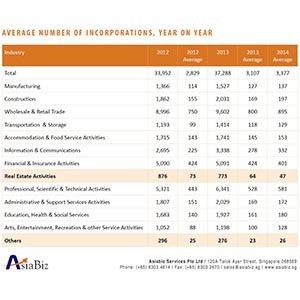 Real estate, financial and insurance services and “other” sectors saw the lowest number of company formations between January and May this year. personal service companies such as beauty, laundry and wedding related services. 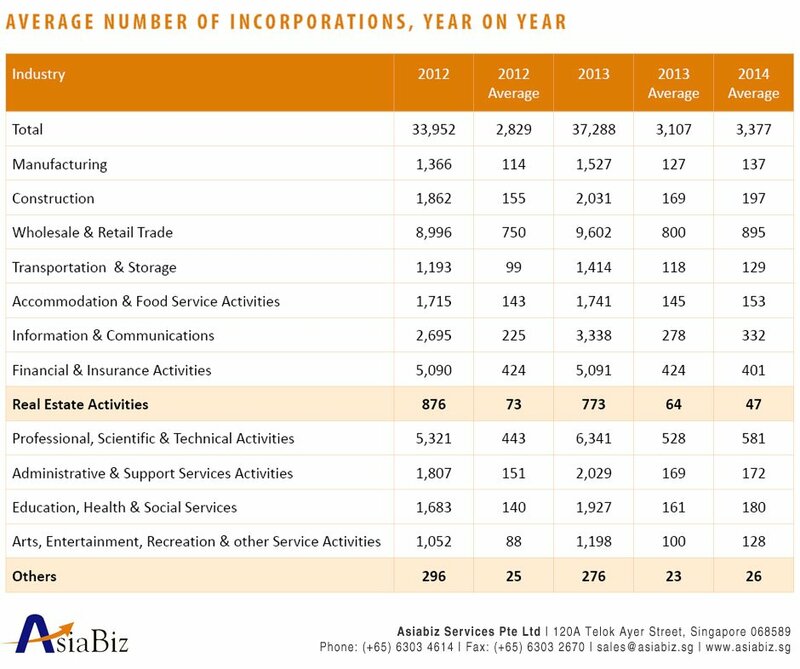 These industries have seen a year on year decline in the average number of incorporations per month in the preceding two years as well. Note: Highlighted areas show declining industries.